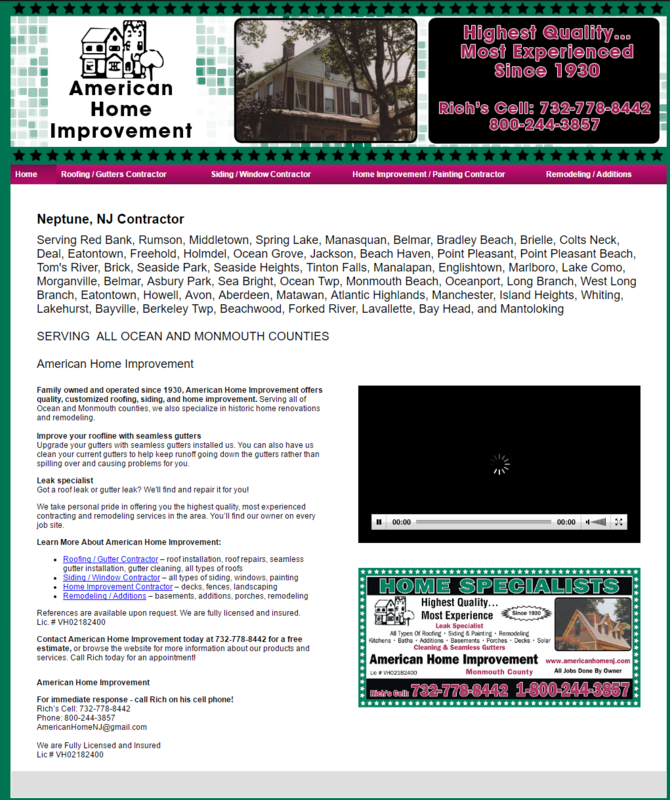 American Home Improvement located in Neptune NJ has been a family owner operated construction business since 1930. 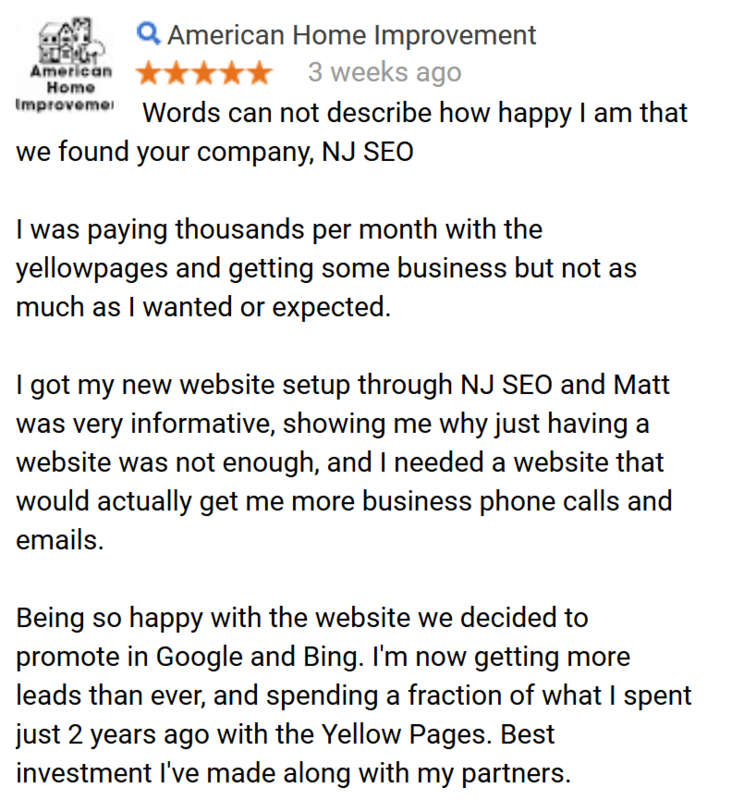 The owner, Rich, was paying thousands of dollars per month to YellowPages and was not happy with the results. 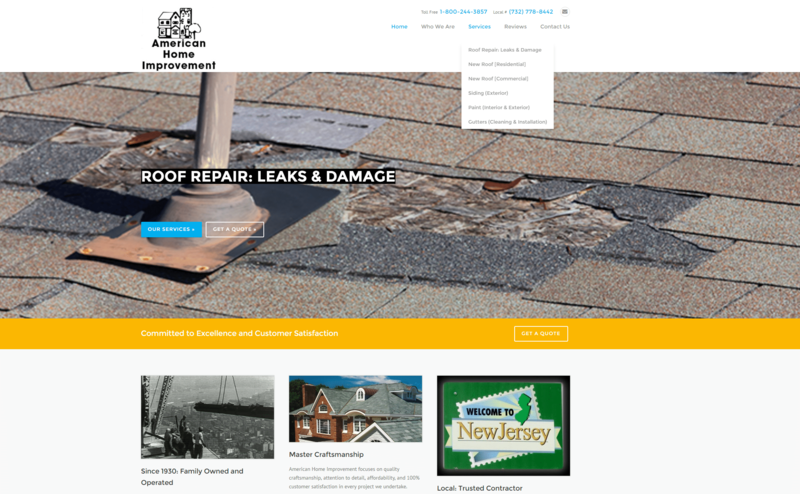 His old website was not converting traffic into leads, nor was it setup properly for the search engines or humans.